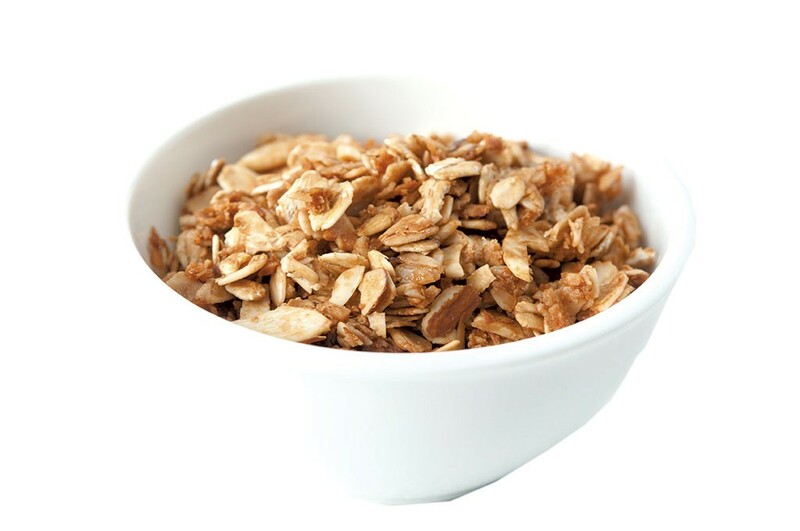 A Perfect Pairing: Homemade Yogurt & Granola | Mealtime | Kids VT - small people, big ideas! Every day I cook for 45 toddlers and preschoolers at the Burlington Children's Space. To promote healthy eating, and to stay on budget, I make cooking from scratch a priority. I follow the same philosophy with my three kids. Though it's difficult to go completely homemade, I'm always looking for practical recipes to try in my own kitchen and at school. Because of this, I was already familiar with the DIY-yogurt process before I attempted it for Kids VT.
Last year, I also experienced a pretty funny yogurt-making experience at work. BCS kids love yogurt at snack time, so a coworker decided to try making it in the lunch kitchen. 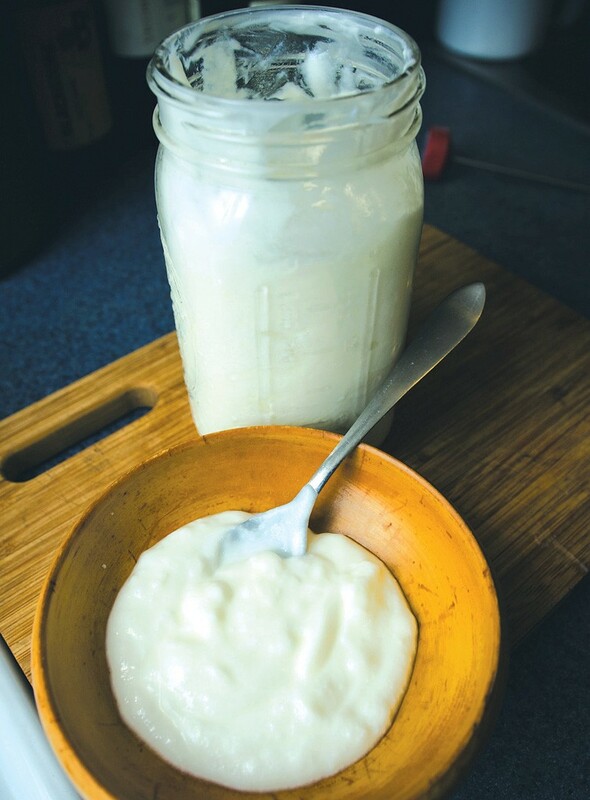 The process is all about temperature; you need to keep the milk warm, but not too warm, while it ferments into yogurt. We don't have a slow cooker at the center, and can't leave the oven on overnight, so, unbeknownst to me, my friend came up with a brilliant plan. She put the milk and yogurt-starter mixture into two half-gallon mason jars, wrapped them in towels and zipped them up in a kid-size winter jacket, which she set on the counter. Upon arriving at work the next morning, I screamed at the sight of a disembodied jacket upright on the counter. Teachers came running. "What is this?" I implored, thinking it was a practical joke. "Oh! I didn't mean to scare you!" my coworker apologized. "It's just Yogurt Kid!" Despite my alarm, the yogurt was a huge success. The kids loved it, and we certainly saved money by making our own. At home, I enlisted a slow cooker to warm my first batch. It was easy and made a good amount: Set it up on Sunday night, and you'll have yogurt for the week on Monday morning. Pair it with homemade granola, and you've got two healthy, tasty, homemade breakfast staples — and you can leave the coats in the closet. 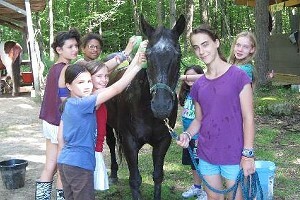 Wash all of your equipment in hot soapy water and dry well with a clean towel. Fill your slow cooker halfway with warm water and set to the lowest setting, or to "warm" if you have the option. Keep the lid off. Heat the milk in a large saucepan over medium heat, whisking gently. Check the temp with your thermometer and watch carefully — don't let it boil! When the milk reaches 180-190 degrees, remove it from the heat and let it cool to 125 degrees. This will take about 30 minutes. You can cool it faster by setting the pan in a sink of shallow, cool water. Divide the milk between your two jars, and stir 2 tablespoons of yogurt into each jar. Make sure the milk and yogurt are well blended, and screw the lids on tight. Put the sealed jars into the slow cooker and cover the whole thing (yep, base and all) with aluminum foil to keep the heat in, then turn it off and unplug it. 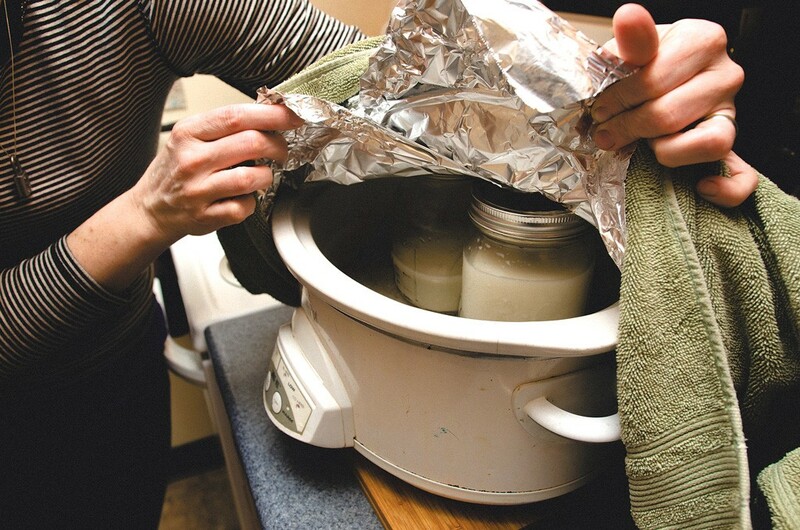 Wrap a large, clean towel around the foil (again, base and all) to further insulate the jars. Make sure it's in a warm spot in your kitchen, and leave it alone for eight hours, or overnight. To see if your yogurt is ready, open one of the jars and tilt it from side to side. The yogurt should be set and just a little jiggly. If it's still runny, you can wrap it back up for another hour or two. When the yogurt is done, promptly refrigerate it. It will keep in the fridge for up to two weeks. Preheat oven to 325 degrees. Warm coconut oil, honey and brown sugar in a small saucepan over medium-low heat until it melts and begins to bubble. Remove from heat. Stir together oats, nuts, seeds, vanilla, cinnamon and salt in a large mixing bowl. Pour the sugar mixture over the top and toss to coat evenly. Spread the mixture on a large baking sheet lined with parchment paper. Bake for 30-40 minutes, until golden. Cool completely, add dried fruit (if using) and store in an airtight container.